If you are on Twitter you will have notice that over the course of the last three days it finally got interesting again. 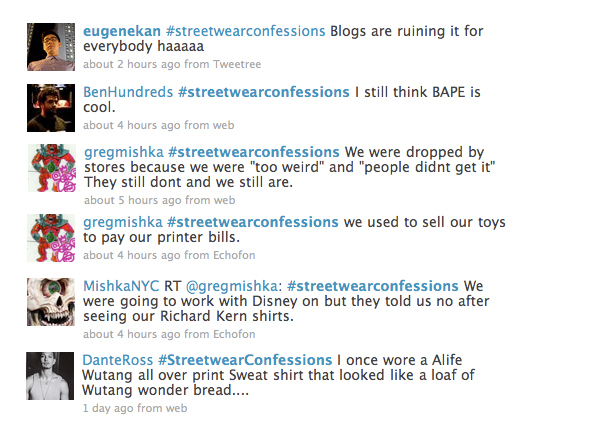 I tried to find out who decided to try and make #streetwearconfessions a trending topic but my Twitter feed would only go back three days to Greg Rivera. I am not sure if we can credit him with starting this conversation but I can tell you that he has some of the best tweets on the topic. 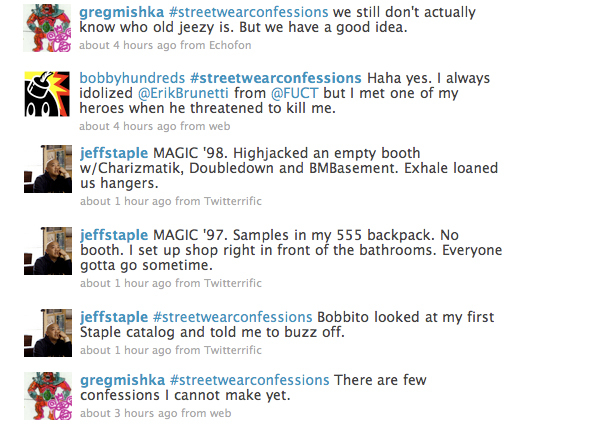 I think everyone has some speculation as to who Old Jeezy is. I know I have mine. I also know that these tweets are ten times better then any BongoBoy interview. 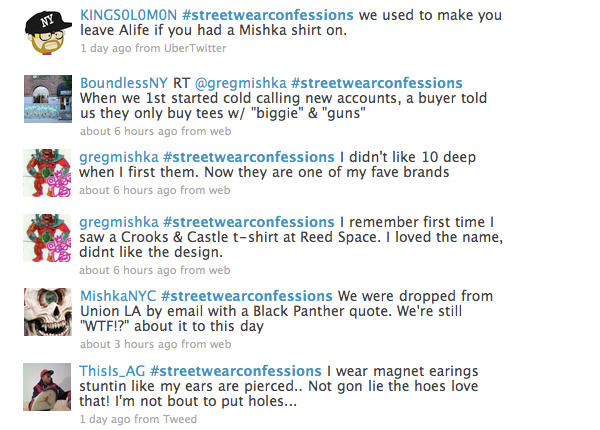 Interested to see some 10Deep, Diamond, DQM, UNDEFEATED tweets...I know there is much more up for discussion. If you are on twitter you can follow us @LAMBlog.